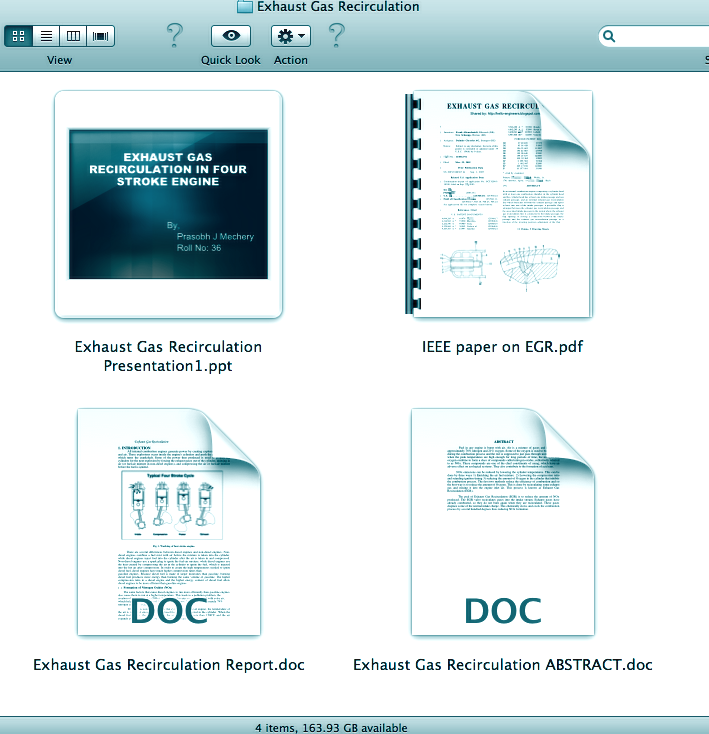 Automobile projects: Exhaust gas recirculation (EGR) with IEEE paper ~ Engineering projects ideas for final year students & paper presentations collection blog. Title: Exhaust Gas Recirculation engineering project. Can be used for: Paper presentations, engineering projects ideas and final year projects for students. This project was requested by an other engineering student from India. Mostly students used to request us projects based of trend and happening technologies only. Being sure in this belief, we are very happy to see the kind of awareness these engineers are developing towards the environment, ecology and energy constrains! Basically this engineering project is all about pollution control. In the internal combustion engines, the EGR or exhaust gas recirculation is a nitrogen oxide emission reduction method used in all the fuel type engines. It can be said like this, EGR works by recycling a portion of the engine's exhaust back in to the cylinders. We have packed a fine folder for this blog post too. 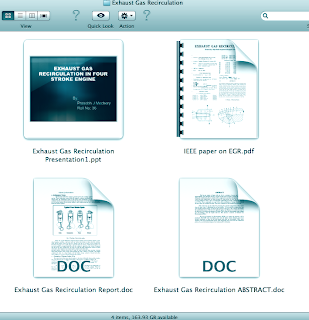 This post about the automobile engineering project, Exhaust gas recirculation engineering project has a normal basic paper presentation with well organized data on this topic, a presentation on the same and a IEEE format engineering project on this EGR by Frank Altenschmidt. Sample of this Automobile projects for engineering students: The invention is based on the general idea of providing 35 exhaust gas recirculation in an internal combustion engine having a combustion chamber and at least one intake passage and an exhaust passage, this exhaust gas recirculation being controlled by a circle-segment-like/multisurface rotary slide valve which is arranged in a region where the 40 exhaust gas recirculation passage opens into the intake passage. In this case, the rotary slide valve is arranged on the wall of the intake passage and is pivotable about an axis of rotation oriented transversely to the intake passage in such a way that, in its one end position, it bears with an intake- 45 passage-side surface laterally against the intake passage in such a way as to be flush with adjacent wall parts of the intake passage and, in its other end position, forms with the intake-passage-side surface a ramp-like and continuous constriction, starting at the axis of rotation of the valve. In this 50 case, the exhaust gas recirculation passage is shut off in the one end position by the rotary slide valve, whereas it is connected to the intake passage in the other end position. In addition, the circle-segment-like/multisurface rotary slide valve, in the one end position, is swung into a recess 55 arranged on the intake passage and in the process, with a surface which is inclined relative to the intake-passage-side surface and is remote from the rotation axis, overlaps the exhaust gas recirculation line opening into the recess, or a passage connecting the recess to the intake passage, in such 60 a way as to shut off the exhaust gas recirculation line or the passage.